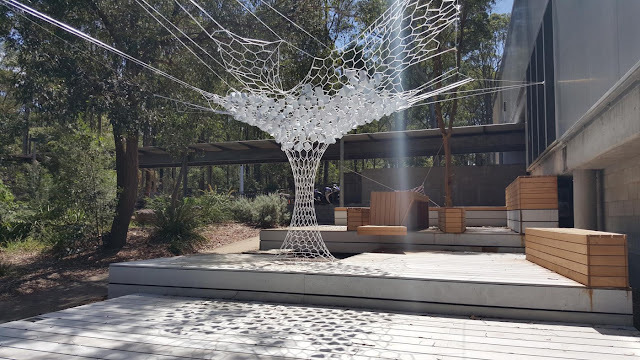 An update of Yannis's latest work together with a wonderful team of colleagues and students at the University of Newcastle, New South Wales. Research on the now closer relation between materials, construction and design may prove as a new foundation for architecture's potential role. 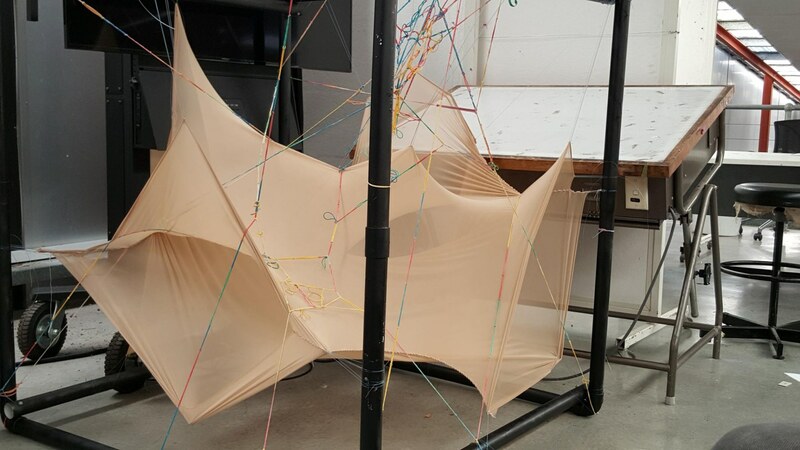 The aim for this second‐year second‐semester core studio is to provide an understanding of digital processes and their application to architectural design. Computation, parametric design, modelling, simulation and other advanced techniques are employed to tackle a design problem of research nature, that is, prompting towards experimental uses of digital tools and their synergy with advanced analogue techniques and mainly modelling, in order to produce design propositions that extend our sense of architectural space and structure. Experimental design strategies are introduced together with a range of tools and processes of the digital interface. These strategies unfold along with the development of three assessments set as Analysis, Schematic and Prototyping. This course focuses on the notion of surface in architecture. First, it draws upon manifestations of surface in nature in order to revisit common conceptions assuming architectural surface to be a flat element of same consistency and constant thickness and a consequence of standardising geometric norms, as these were founded in the modern aesthetics and construction techniques. Furthermore, with the new possibilities that have emerged due to digital technologies primarily related to CNC fabrication, it is generally conceded that geometricism, i.e. the analysing of complex forms to simple Euclidian shapes, soon may no longer be a prerequisite to construction. Such a prospect invites towards a complete turn in defining architectural surface from a fixed element to a malleable topological entity produced through its dynamic interactions with agents and data inputs defining a project. Along with geometric definitions of surface developed during modernism, there were a number of pioneering architects of the same period who questioned its efficacy in meeting design aims. Related studies focused on observations for example that flat geometries often lack tectonic behaviour, as they promote rigid structures with large amount of material waste, or that geometric purity is often inefficient in cases requiring higher level of refinement. Alternative concepts were drawn remarkably without any computational aid, leaning towards softer geometries and agile structures set in response to local conditions. In retrospect, it is argued that such attempts prepared the definitions of surface that occurred three decades later, this time supported by the so‐called digital revolution. References drawn from a large pool of precedents of natural origin combined with advanced computational tools have offered new meaning and ways of appropriation of surface in architecture. Αναρτήθηκε από Nikolas Patsavos στις 6:21 μ.μ.